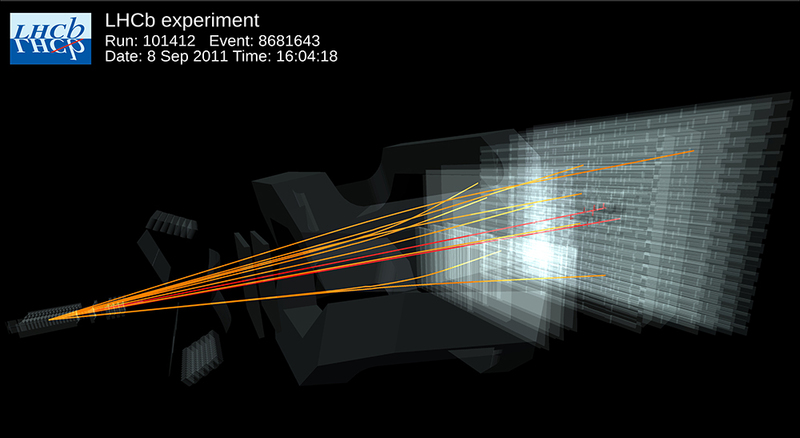 A joint result from the CMS and LHCb experiments precludes or limits several theories of new particles or forces. Two experiments at the Large Hadron Collider at CERN have combined their results and observed a previously unseen subatomic process. As published in the journal Nature this week, a joint analysis by the CMS and LHCb collaborations has established a new and extremely rare decay of the Bs particle—a heavy composite particle consisting of a bottom antiquark and a strange quark—into two muons. Theorists had predicted that this decay would only occur about four times out of a billion, and that is roughly what the two experiments observed. 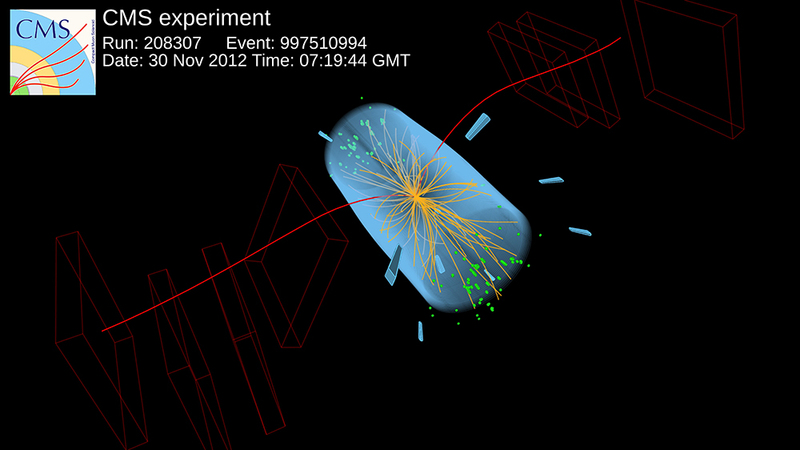 The Large Hadron Collider is back in the business of colliding particles.